Phospholipids are the primary building blocks of cellular membranes. 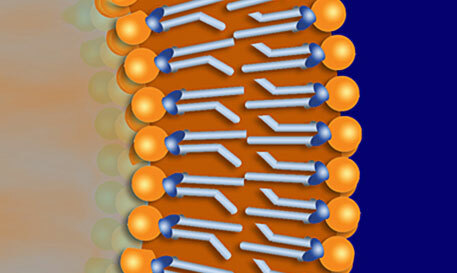 These membranes are the "containers" that hold the living matter within each cell. They also give definition, shape, and protection to many of the substructures (organelles within the cell like the nucleus and mitochondria) within our cells. In order to repair the structural damage caused by the continual barrage of toxic substances and pathogens, your body requires a constant supply of phospholipids. 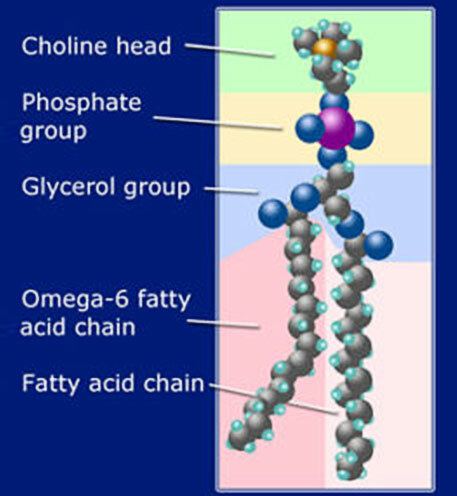 The body can synthesize some phospholipid compounds, but others must be supplied by the diet. Phospholipids that can only be obtained through dietary intake are called "essential phospholipids." One of the most important and prominent phospholipids in cell membranes is called phosphatidylcholine (PC) [pronounced FOSS-fah-tide-al-KOH-lean]. At birth, up to 90% of cellular membranes are made up of PC. As humans age, the percentage of PC in their cellular membranes can decrease to about 10%. This fact leads many to recommend consistent supplementation with this essential phospholipid. The liposomes used for Lypo-Spheric™ supplements made from essential phospholipids that include a high percentage of Phosphatidylcholine. These liposomes not only provide optimum protection and superior transport for the Lypo-Spheric™ nutrients, they also help satisfy the body's need for PC, omega-6 fatty acids, and choline.